Lil BUB has made a name for herself as one of the cutest and most followed cats on the Internet. The dwarf cat with green mesmerizing eyes has garnered enough attention and love to get her own documentary, premiering at the TriBeCa film festival this Thursday, Lil BUB & Friendz. 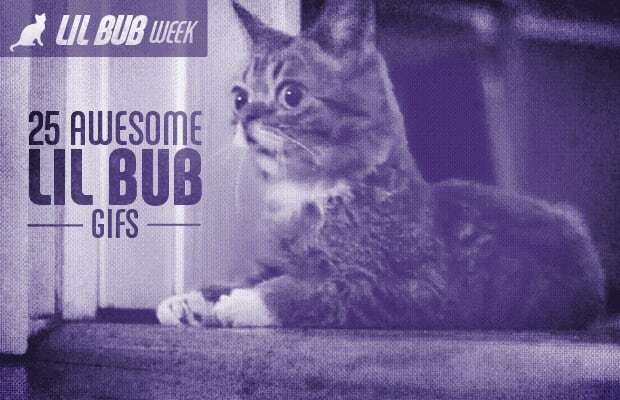 Continuing with our week of coverage honoring this young philanthropist with a face to brighten anyone's day, we've compiled 25 Awesome Lil BUB GIFs, all proving that she's the most epic cat on the Internet.